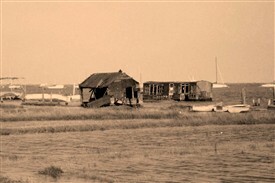 The third picture of the Oyster Beds at Paglesham is more recent but the old railway carriage and the broken down shed are no longer on the shoreline. This page was added by Nathan Bell on 08/05/2012. 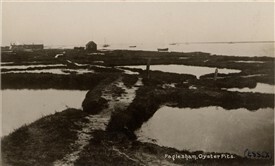 The oyster industry at Paglesham was marketing several hundred million oysters per annum by the time of the 1st World War. 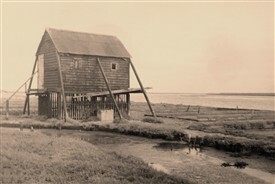 These huts were used to keep watch over the oyster beds against theft which was a real danger at night and specially at weekends. If it's of interest, the story is also mentioned in my book 'Essex – History You Can See' under 'Paglesham'.